IJIEMS denies any responsibility for legal or ethical problems with other journals or websites with the same name. 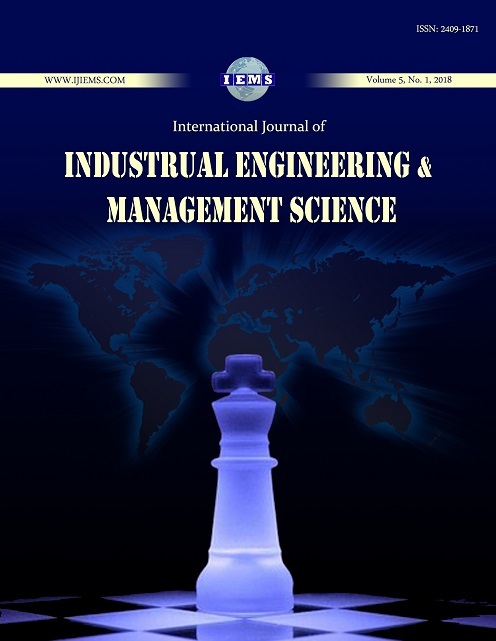 All authors are requested to submit their papers for possible publication in International Journal of Industrial Engineering and Management Science through our official site www.ijiems.com. Please note that IJIEMS firm has a zero tolerance approach to any kind of plagiarism. We reject any papers with a similarity index of over 10%. IJIEMS reserves the right to retract any published paper after receiving a feedback. We strongly recommend authors to make sure about their work prior to submission. The authors may use the available software packages to make sure that their work is original and has not published elsewhere.